With so many options for addiction treatment programs, it can be tough to decide which treatment center is the best for you. To determine which programs are the most respected and distinguished, accreditation services spend countless hours researching which treatment centers deserve their highest honors. This month, Next Level Recovery was honored with The Joint Commission’s Gold Seal of Approval for Behavioral Health Car Accreditation. What Is the Joint Commission on Mental Health? The Joint Commission accredits 15,000 services and programs in the United States. This includes almost 2,000 healthcare organizations that provide addiction treatment services, mental health care services, etc. 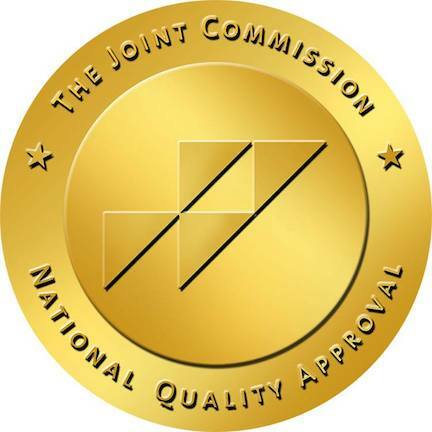 By earning the Gold Seal of Approval from The Joint Commission, Next Level Recovery has shown that our outpatient facility program and services are done in a safe and high quality manner. How Do Organizations Receive the Gold Seal of Approval? Although it’s recognized nationwide, very few outpatient facilities in the state have earned the Gold Seal of Approval. When an organization applies for the Gold Seal of Approval, it can take up to ten months to find out if you’ve received the certification. Health care experts, providers, measurement experts and individuals who have been served on their path through addiction treatment conduct surveys to determine if the facility shows continuous compliance with standards. We would like to take a moment to congratulate our entire team for their effort in receiving this accreditation. This symbol of quality is more than a certificate; it’s a promise to give our clients safe and effective care as they begin the journey to recovery.